Why my sense of Jewish community suffered after moving from Chile to Athens, Georgia. I grew up in South America, in Chile, a country surrounded by the Andes Mountains and the Pacific Ocean. My great grandmother Helena Broder and her son Mauricio arrived in the port city of Valparaiso in January of 1939. They were Viennese Jews who found safe passage to Chile, where Helena’s son, my grandfather Joseph, already lived. Chile will always be an essential part of my Jewish heritage, as I feel so very grateful to this country that granted visas to my family. The rest of Helena’s relatives, among them her four sisters, perished in Auschwitz. Chile has a small, but very active Jewish community of about twenty thousand people. Santiago, the capital, has ten synagogues. I grew up in a secular, Jewish home, celebrated the High Holidays, and my sister and I attended Hebrew school. Spanish and Hebrew became my languages, and later on, when I arrived in the United States, I learned English. Even though the Jewish community in Chile was less than one percent of the population, I never felt marginalized or like a minority. I felt I was Jewish and that I could practice my faith the way most of the country practiced their Catholicism. As a young girl, I felt joyful, happy at school and in my neighborhood, and surrounded by the love of family. An idyllic childhood was interrupted when my immediate family left Chile in the early 70s. The political situation of the country was extremely difficult for my father, who was a supporter of socialist president Salvador Allende, but received grants from the United States to pursue his scientific research. These grants, and his association with U.S.-based research centers, made him persona non grata at his university, which was primarily run by Allende supporters who were suspicious of U.S. capitalism. My mother held the first garage sale in Chile, and we sadly prepared for a new life in the other America, the America of the North. We arrived in Athens, Georgia (not Athens, Greece, as I imagined as a young child), and here a new life began for all of us. Being a Jew in Chile, I felt part of a larger community; in Athens, Georgia, I did not. We joined the only temple in Athens, which only had about 60 families at the time. I felt very much a stranger in our new synagogue. The services were held in a language I did not understand (English). I remember that the community was not at all friendly to us, and we always sat alone, apart from everyone, for Shabbat and the High Holidays. As the years went by, we slowly began to meet other members of the community. We realized how biased they were against Latin American Jews. My parents constantly heard rumors that we’d come to the United States solely for economic and material reasons. People always asked me how we lived in Chile. Did we have refrigerators? Did we have cars? Did we have a roof, or did we live under canopies? I felt that the community that was supposed to welcome us was so ignorant of the place I’d come from. Little did they know that we had belonged to the privileged class of intellectuals and owned more material wealth than what we had when we lived in the U.S. When I joined Sunday school, I felt more ostracized than in my regular middle school classroom. My Judaism suffered greatly in Athens, Georgia, as neither my family nor myself became integrated into the community. I often recalled the vibrant Jewish life I’d had at my old school, the Instituto Hebreo, and the joyful holidays we’d celebrated at my grandparents’ home with family, friends, and neighbors. My family eventually left the synagogue since we never felt welcomed by this southern Jewish community. When I wanted to get married in 1977 and asked the rabbi of the synagogue in Athens to perform the ceremony, he refused because we were no longer members. I always felt that protocol was more important than community there. Even after more than four decades in the United States, I practice my Judaism very much independently. I have never felt at home in a synagogue here; rather, I have always felt like an outsider, like a foreigner, like someone who is different. Nevertheless, I celebrate all the Jewish holidays as I did when I was a child. I sing all the Hebrew songs that I learned at school, and have passed this tradition on to my two children, who were born in Boston but raised in a South American, Jewish home. Whether in Georgia, Indiana, or Wellesley, Massachusetts, I have always felt like a foreigner among my own people. As a Jew from a distant land, I have come to accept this, but always feel a sense of sadness when I realize that paying high dues for membership is more important than being accepted as a Jew. When I happen to find myself in Chile for Jewish holidays, I feel I belong everywhere I go; I am embraced for who I am and for the contributions my family has made to the Jewish community of Chile. But more importantly, I do not feel like a stranger among my own people, and no one worries if I’ve paid my membership dues. Marjorie Agosin is the Luella LaMer Slaner Professor of Latin American Studies at Wellesley College, an award-winning author, and a human rights activist. 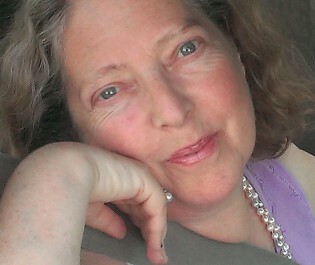 She has authored more than 50 books, including poetry, memoir, essay, and a young adult novel.